As part of an ongoing renovation project, the Atlanta Hawks have removed and recycled more than 12,000 Philips Arena seats. 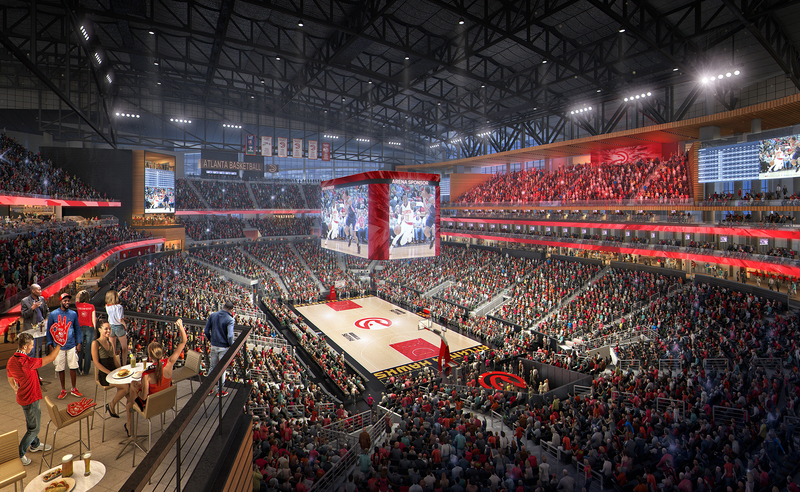 The Hawks are in the midst of a major $192.5 million renovation to Philips Arena, which should be completed this fall. Some aspects of the renovation were in place for the 2017-18 NBA season, but work is still taking place to finish the full project. Once completed, the Philips Arena renovation will result in a variety of features, including technology upgrades, new premium areas and social spaces, and amenities such as a barber shop and Topgolf simulators. The Hawks said the removed seats were taken to a nearby facility, where 64 tons of recyclable material was separated from landfill material. The recycling and waste reduction effort was supervised by Atlanta-based company Rubicon Global. The arena is closed until the start of the Hawks’ 2018-19 season for construction work. The NBA hasn’t announced next season’s schedule, so the exact reopening date isn’t known. Philips Arena has been closed since the current round of renovations began on April 22. Phase one of what is being billed as a three-phase project was completed prior to the 2017-18 season, and was highlighted by the addition of a new club area behind one of the baskets. Phase two took place behind the scenes during the season, with the final phase beginning last month. Once it concludes, the Philips Arena renovation will mark the latest overhaul to an existing NBA venue. Last year, the league saw the culmination of major renovation projects from the Utah Jazz at Vivint Smart Home Arena and the Minnesota Timberwolves at Target Center.